Enjoy the well-arranged and illuminated 2.6 km long toboggan run from Hrebienok to Stary Smokovec. Sánky are available at the rental at the bottom of the cable car station. The track is open daily from 8:30 to 16:30. Every Tuesday, Friday, Saturday 19: 00-21: 00 there is a night sledding, but with a minimum of 10 pax. and above -20 ° C.
During the summer months, you have the opportunity to experience unusual boating directly on the Strbske pleso. 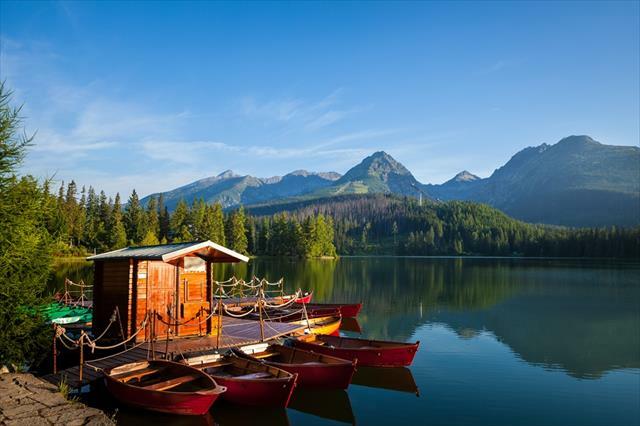 Tradition of boat luggage in the Tatras has more than 130 years of history.